Betty C. Pence, 93, of Burlington, died at 10:45 AM Saturday, February 9, 2019. 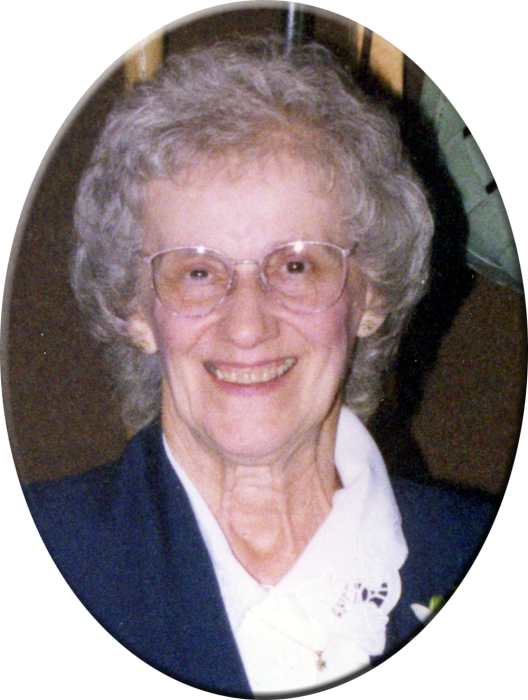 Born April 20, 1925, in Burlington, she was the daughter of Alfred and Martha Fritz Schmidt. On May 26, 1946, she married Eugene Pence. She worked for the Burlington School System for 30 years before retiring. Her first job with the school was working as Superintendent Mr. Bracewell's secretary until he retired. She then worked at CoastalMart, on the corner of Leebrick and Division, for 12 years. Betty was of Catholic faith and was a member of Divine Mercy Parish - SS. Mary and Patrick Church. She loved to plant flowers, watch Chicago Cubs games and spend time with her dog, April. Survivors include two daughters, Kerry (Ross) Hopper of Burlington, and Nancy (Doug) Patterson of Burlington; one son, Mike (Jean) Pence of St. Joe, MO; two grandchildren: Kennedy Hopper and Kerry Sue Sawyer; and her dog, April. A Celebration of Life for Betty will be held from 3:00 PM until 5:00 PM, Saturday, February 16, 2019, at Bent River Brewing Company.